Jakarta: China hopes for substantive breakthroughs made in negotiations on the Regional Comprehensive Economic Partnership (RCEP), Chinese Premier Li Keqiang said here on Monday. Li made the remarks when addressing a launching ceremony of the 15th anniversary of ASEAN-China Strategic Partnership at the ASEAN Secretariat in Jakarta, capital of Indonesia. Li called for joint efforts from China and ASEAN in speeding up the negotiation process, so as to facilitate trade and investment in East Asia and jointly declare to the world that China and ASEAN will safeguard and push forward trade liberalization. 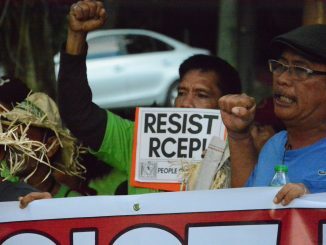 The RCEP is a free trade area (FTA) made up of the 10 ASEAN member states and six FTA partners — China, Australia, India, Japan, the Republic of Korea and New Zealand. Li arrived in Jakarta Sunday for an official visit to Indonesia, the first stop on his first overseas trip since the new cabinet took office in March. His visit comes as this year marks the 5th anniversary of the establishment of the China-Indonesia comprehensive strategic partnership and the 15th anniversary of the strategic partnership between China and ASEAN.